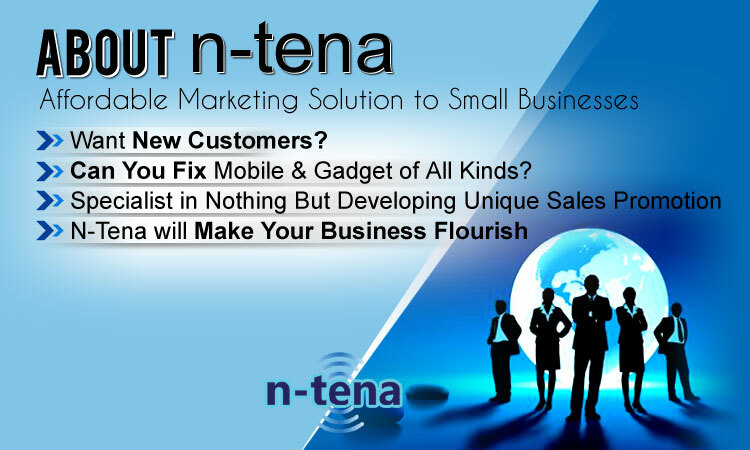 n-tena was founded in 18th June 2014, with the aim to provide affordable marketing solution to small businesses based in London. Our aim is to gain the loyalty of the clients by offering them valuable services and low cost unique marketing strategies. n-tena also offers the optional service of booking software system which is especially designed for mobile sector. Management software system works as booking system which enables both main service provider and retail service provider to track the progress of the items. The retail service provider will not lose their business due to lack of parts, non availability of engineers and not fully equipped laboratory. Similarly, the main service provider will get more business by getting more faulty devices to repair.